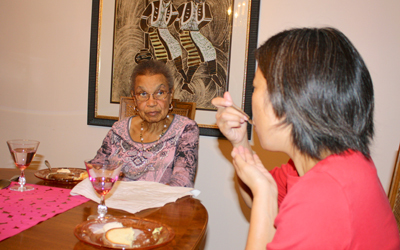 Much to my surprise, I find myself in round 3 of Project Food Blog – The Luxury Dinner Party. Only thing is, I don’t do luxury. I can appreciate it, and I do enjoy luxurious things on occasion. I just don’t DO it. 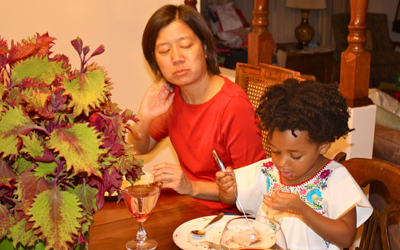 I have always been more of a casual and fun kind of gal, not known for serving a formal sit down dinner with multiple courses. That’s what 3 star restaurants are for. Challenge 3 of Project Food Blog is a call to produce a luxury dinner party, with your guests experiencing new tastes and exotic flavors. Having a 3 year old, exotic flavors have to be off the menu for the time being. 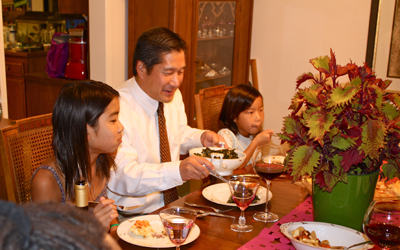 And my other invited guests included 12 year old Tessa and 8 year old Mia, so I wanted to serve food they would like too. Serving children does not (always) mean hot dogs and fries, but I do try to use flavors that will not overwhelm their evolving taste buds. I pulled out some gorgeous antique china dishes which belonged to my grandmother Ruby (whom my daughter is named after) and some beautiful pink water glasses from my mother’s collection. But that is as fancy as I got, which is why I called this the “Only Slightly Fancy” Family Dinner Party. For the centerpiece I bought a plant which brought out the colors of the table runner. Plants make great centerpieces, and unlike cut flowers they are still alive after the party. To save time you can set your table a day or two ahead. That means less to worry about the day of the dinner party. My invited guests live next door to me, and I consider them family. I moved to the house I live in now over 40 years ago, when I was three years old. Kevin was also three, so I had an instant playmate. I don’t remember life BK, or before Kevin! 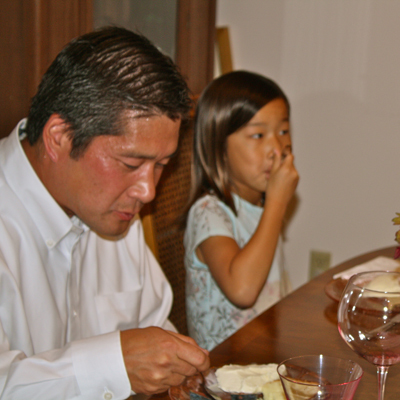 I consider him my brother, though he is Japanese American. My daughter calls him Uncle Kevin and his daughters call me Auntie Cheryl. His wife Myrna is a wonderful woman and mother, and I look forward to talking to her while the girls play. When I first moved back in with my mother, I remember looking out the window and seeing Kevin playing with his girls out in the front yard. I realized we had come full circle: our parents raised us together, and now Kevin and I were raising our children together. How cool is that? My menu consisted of recipes that I return to again and again. When having a dinner party, instead of trying the latest and greatest recipe found in the blogosphere or hot celebrity chef cookbook, consider making something you have cooked before. Doing so takes out that huge amount of nervousness you get when trying to execute a new recipe for an audience. 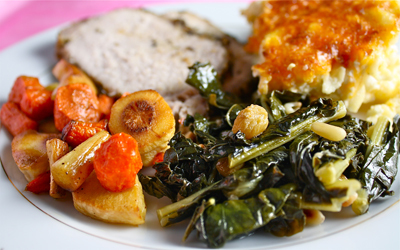 When planning your menu, are there any dishes you can prep or make the day ahead? With the menu I chose, I marinated the pork roast the day before, which insured it would have an incredible, deep flavor. The macaroni and cheese can be fully assembled and baked the next day, or it can be fully baked the day before and reheated without losing any of its rich and creamy deliciousness. 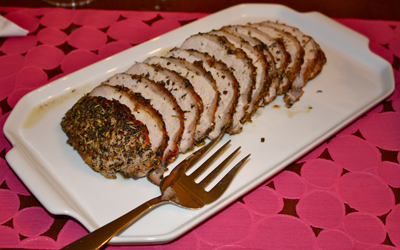 The herb rub for the pork loin is made from pantry staples (at least my pantry) and is wonderfully full flavored. Red chili flakes, fennel seeds, thyme, oregano and basil are combined with olive oil to produce a rub that makes not only pork, but chicken and turkey come alive with flavor. My sinfully rich Macaroni and Cheese is always sure to please. 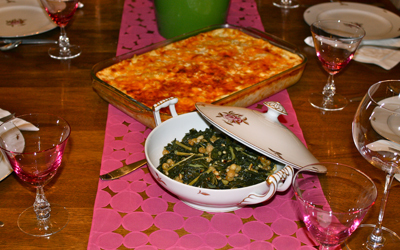 Myrna called it “Christmas Macaroni and Cheese” meaning it is so rich and fattening you only serve it at the holidays! I have to agree with her there, but it is so good you want to make it all the time! 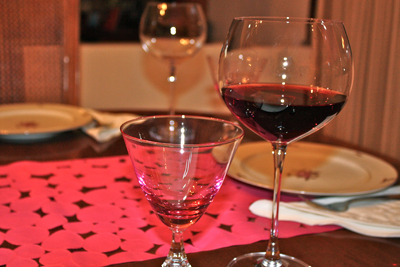 Don’t forget to choose a good wine that goes with your menu! If you are cooking something that has wine as an ingredient, use the same wine you will be serving with your meal so the flavors are complimentary. 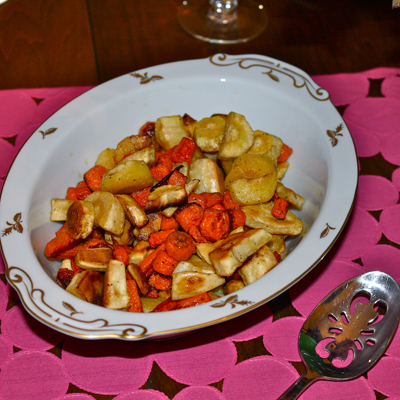 I stayed seasonal with my choice of vegetable side dishes. Root vegetables and squashes are just coming into season, while kale is finishing up it’s run. Keep color in mind when planning your menu, such as my choice of orange and white root vegetables to balance with the deep green of the kale. You don’t want to serve a plate where everything is the same color! Remember, we eat with all of our senses, including vision. The vegetable side dishes are the one area you might want to try something new, or at least come out of your comfort zone a bit. Find a good recipe from a reputable source, and do something different. I developed my recipe for the Tuscan Kale with Pine Nuts and Golden Raisins from a taste memory. Years ago I went to a restaurant in Seattle while attending an IACP convention, and they served a kale dish that was sweet and tangy and savory at the same time. I decided to try and recreate the dish, or at least make one that tasted as good. And judging from the feedback, I did a good job. Of course, I cooked as I usually do, add a little of this and a little of that and voila! So, I will go back and test the recipe and post it on the blog soon. It is a recipe worth sharing with you. My dessert consisted of my mother’s pound cake which is loved by anyone and everyone who has ever tasted it. Seriously. I also picked up fresh Mission figs to serve along with the cake. A great way to jazz up a dessert is to serve it with some fresh seasonal fruit. Maybe you don’t have time to bake? Buy a good quality cake, and serve it with slices of ripe fresh fruit. You can also buy frozen puff pastry or filo shells, bake them off, then fill them with fresh fruit. Top with softly whipped cream and you have a marvelous dessert. Ruby is very happy because she has Ice Cream! And if all else fails, vanilla ice cream makes everything OK! At least it does in Ruby’s world. I love the pink table runner! How lovely that you and your family are so close with your neighbours too with your kids growing up together, like you and Kevin did. I’m with you on keeping colour in mind when putting a dish together – I always like to have at least 2 or 3 colours there! 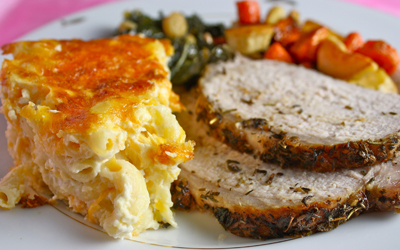 These dishes are tried and true for a reason! 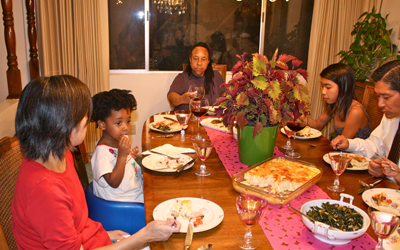 Everything looks delicious and your guests look like they had a great time (not to mention a great feast!) Good luck!! A wonderful menu! Such hearty comfort food! Good luck in this round! I’m so with you, miss!! 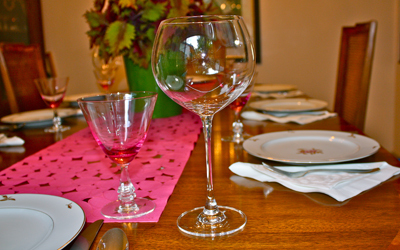 Luxurious things are different things to different people, and your dinner party sounds absolutely perfect to me. And holy goodness does that mac & cheese look outstanding. And you’re little one is one of the cutest little gals I’ve seen in a long time! You have my vote! Here’s hoping for round 4!! I love reading your stories, almost as much as I like ogling your food photos. You’ve got a vote of mine this week, good luck. Oh, any chance you could pull the kale recipe from your memory again and post it? I’d love to see it. Wonderful dinner party! Loved the menu and the table setting and those Mission figs on your pound cake look so appetizing! Well done! And Ruby is ADORABLE! Looks like you had a great time! How fun! Hope we both make it to the next round! 🙂 You have my vote! YUM!! Food and people that I would love to eat and know! 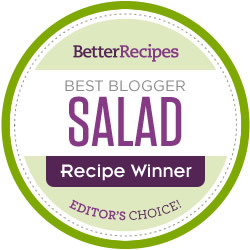 You definitely have my vote-the best ingredients made well are always the best. Italians rarely eat without the whole family-I always enjoyed seeing the children there with there families, especially in the summer when everyone is out eating on the square. Your daughter is a delight! Your daughter’s too cute! She looks like she enjoyed herself. 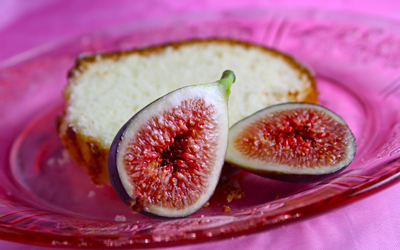 Love that pound cake pick with the fig. A simple and sweet ending to the feast. Voting! 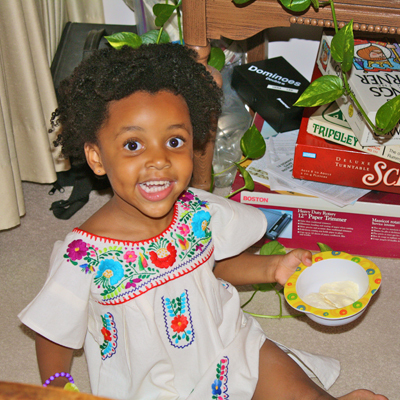 I think I’m going to have to agree with your adorable Ruby, everything IS better when there’s ice cream involved. What a beautiful and real dinner for the whole family. I’d love to go to a dinner like that! You have my vote! I love that your neighbors are your friends/family–how wonderful to be that close:) Your whole menu makes my mouth water; I’m coming over. But first, I’m sending one of my votes your way! Onward and upward to Round 4! Great menu and the food looks delicious. I also like the family theme. You got my vote and good luck! The pork lion looks fabulous! My grandmother was a Ruby too, and my brother named his daughter after her as well! Rubys are good people. This feast looks plenty fancy to me! Mac and Cheese, aww hey girl! Love that its completely accessible and still classy! Great work! This sounds like the sort of dinner party I’d love to come along too. 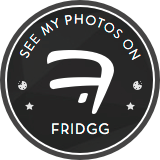 Food prepared with healthy dashes of love, with cute kids in tow 🙂 Great post. Wonderfully done. You have my vote! Everything looks delicious! Ruby is too cute. I love your family fancy feast! It’s perfect. (And Ruby is adorable in that last shot!) You’ve got my vote! Cheryl, I adore your family-fancy dinner. And the luxury in my mind is having the time and wonderful family to sit down with, right? Still smiling looking at that cute pic of Ruby – such a doll! Fabulous dinner! Wishing you votes and luck for Round 4!